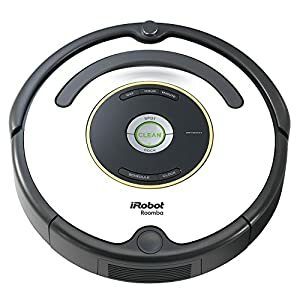 iRobot Roomba 665 Review and Comparison in April 2019! Technology doesn’t stand still, and almost every day we get introduced to the new inventions. Robotic hoovers have already been around long enough for everyone to get used to them, but as the world moves forward, more and more smart house care facilitators become a part of our daily lives. 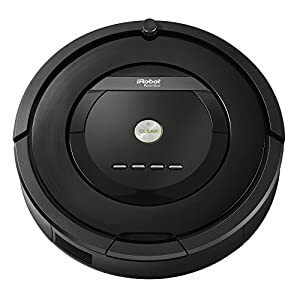 In this iRobot Roomba 665 review, I will get you acquainted with one of the most popular smart hoovers that the current market has to offer. 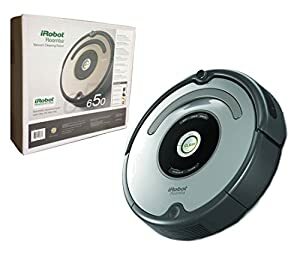 Plus, I will outline some differences and similarities between this glorious house care helper, other members of the Roomba family and some other products. By the time iRobot launched its first robotic hoover in 2002, the company had been present in the market for over 10 years. Since then, they have improved their devices and developed 3 lines of the smart house care helpers: Roombas for dry cleaning, Braavas for moping, and Mirras to take care of your pools. Roomba, in a nutshell, is a smart robotic hoover that can work autonomously while you are away or just don’t feel like doing all the tidying up yourself. Just hit the CLEAN button and relax, and let this little guy do all the dirty job for you. It can get under the beds, over the thresholds, handle any carpets and eliminate any type of dirt. The iRobot 600 series have been developed precisely to deal with pets’ hair, so if you are a happy owner of a cat or a dog, you will love this divine cleaner. This vac works on a Li-ion battery and is equipped with a set of brushes and\or extractors, a powerful suction system, a set of adjustable wheels that allow easy and quick transition over the thresholds and to the different surfaces, and a number of buttons to operate all this machinery. The robot uses the iAdapt Navigation system, so it can find its way around your home and deliver the best possible results with a 3-step cleaning system designed for advanced multi-surface operation. There is not so much you will have to do in order to get your Roomba going. After you have unpacked your vac and got rid of all the wrappings, the first thing you will have to do is to charge it. To do that, connect the Home Base to the power and put your vac on it and push the CLEAN button. You will see that a small white indicator on the left saying that the charge is running low. It is recommended that you leave it to charge overnight, but in fact, you can leave the hoover on the charger until the indicator changes to the green. When you see it, hit the CLEAN button again and let the tidying up begin. Below and above the CLEAN button, you can see 2 other buttons: SPOT and DOCK. The first one makes your robovac clean one area more thoroughly. The hoover will go in circular motions around the spot about 3 ft in diameter. The DOCK button will make your little helper get back to the Home Base. Other 5 buttons are to be used for scheduling the sessions at your convenience. When you are about to start your Roomba, make sure, there is no spilled water or other fluids in the areas where it is going to creep. Also, make sure there are no easily accessible cords since the vac can get stuck or damage them. Fragile and easily breakable things too are better to be put away. Roomba 665 comes with a Virtual Wall Barrier which has two modes of operation. When the switch is up, the device creates an invisible wall that only the robot can detect. You can use it if you want to prevent the vac from entering certain areas or rooms. The other one is the Halo Mode that creates a round barrier around the object that you want the vac to avoid. It will perceive the halo as an obstacle and won’t get near it. To activate it, switch it down. Let’s take a look at the differences and similarities that the remarkable Roomba 665 and other splendid hoovers of the kind have. In fact, these two robots are pretty much the same with only a few differences, the first one being their design. 650 is all black with a yellow circle on top giving it a somewhat futuristic tinge, and the 665 is just black and silver. Also, the 650 is slightly smaller (13.4″ x 13.4″ x 3.6″) and weighs only 7 lbs. Both of the robots have the same amount of brushes and a top handle – a feature that only units of the 600 series are equipped with. On the other hand, the 665 can be controlled remotely – a valuable option that Roomba 650 lacks. None of the hoovers are Wi-Fi compatible, therefore, they cannot be controlled through an app or a virtual assistant like more recent models. In terms of handling the pets’ fur, both robots are doing great. Also, the 650 item is a bit cheaper. So it is really hard to tell which of the hoovers will win in an iRobot Roomba 650 vs 665 battle. This one is probably the most basic of all hoovers outlined in this article. The first and the main difference with this little guy is that it does not have a scheduling option. So if you want to get it started, you will have to turn it on and off yourself. The general time that this vac can operate without a recharge is approx. an hour. However, whenever the charge is low, it will return to the Docking Station. It is also a bit bigger than 665 (17″ x 18″ x 5″) and a bit heavier (11.5 lbs). Roomba 614, just like 665, moves in random patterns whilst doing its job, therefore, sometimes it can miss a spot or two. This robot also works a bit less than 665 – only 45 mins. The model cannot be connected to Wi-Fi and does not feature the remote control option. The dirt canister and the set of brushes is just the same as in any 600 series vac. The top handle is there as well. The main difference between those two is that iRobot-805 has different bottom brushes. Actually, there are the 2 extractors which makes it great for the dust, pollen, and debris on the hard floors, upholstery and thin carpets, but may be not so good for thick carpets and the pets’ hair in general since there is no brush with long bristles. The dustbin in those two is different as well, both in the form and the filter installation principle. The filter maintenance, on the other hand, is simple and doesn’t take much time and effort. Unlike the 665 mode, 805 does not feature the handle on the top. However, the improved navigation system helps the newer model successfully navigate through your home and do the best job possible eliminating the tiniest particles of the dirt from various surfaces. It may be best that you choose the 805 model if you suffer from allergy, since its brushes allow picking up more of the finest pecks and flecks, giving you the desirable relief. Roomba-880 is a newer model, compared to the 665 option. The latest robot has an improved design and generally is a bit more powerful. Altogether, this vac has a lot in common with the 805 model, with the difference in the battery and size. The battery used in the 880 is the special iRobot Extended Life Battery that will serve longer than a Li-ion option used in the 665 and the 805 models. 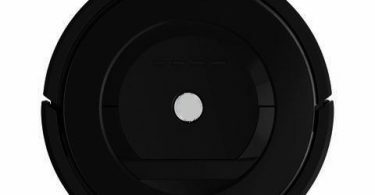 In terms of the robot’s looks, it is an all-black round vac with 4 buttons of silver color, an IR-sensor and a bumper that prevents the robot from damaging your furniture. The 880 will find its way back to the Docking Base with no effort and will easily avoid stairs and other obstacles when it is familiar with the premises – just like the 665 item. This model is not Wi-Fi compatible and cannot be operated via any virtual assistants. On the other hand, the hoover features a remote control which allows operating it from a distance and with no need of bending down! With the help of that small piece of plastic, you can literally make Roomba go wherever you want! 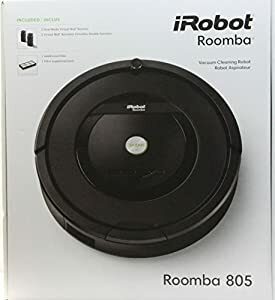 The 690 option was the first representative of the Roomba family to have Wi-Fi connection that allowed the remote control through the special iRobot App. With this app, you can control and check how the hoover is doing and also receive notifications if the vac is done and\or having some kind of trouble, be it a full dustbin or a power cord that it got stuck in. Both of the robots can be scheduled to do the tidying at your convenience. Roomba 690 also has improved design and features only 3 buttons: CLEAN, HOME and SPOT. The general look of this newer robot is a bit sleeker, too. As for the suction power and operation time, both of the robots can work up to an hour, but the latter model is a bit more powerful; it also takes less time to recharge. None of the hoovers is too noisy, so if you are not a very light sleeper, you may even schedule your vac to work at night. Here are two other beautiful robovacs that you may find also interesting to get familiar with, since Roombas are not the only house care helpers that the current market has to offer. Welcome, Shark! And let’s see what these little buddies are all about: you will love the little robot family making your place cleaner. 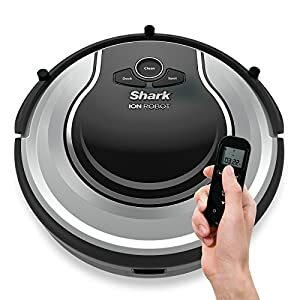 It won’t be an exaggeration to say that Sharks are the vacs that can easily compete with the almighty Roombas. The designs are pretty alike, and the suction power is almost the same. The main distinction in the Shark Ion 720 is that it has 2 rotating side brushes and the 2 more brushes in the buttom with medium bristles unlike the Roomba that has one extractor and one long-bristled brush in the bottom. The Shark too moves randomly around the room while doing its job, but seem to be a bit more consistent than Roomba. Also, the Ion 720 comes with a remote control to facilitate the scheduling and operating it from a distance – a useful feature that Roomba lacks. None of the vacs connects to Wi-Fi, therefore, cannot be operated by any virtual assistants. To prevent your Shark from going to the unwanted areas, use special barrier strips. This may be not as convenient as Roomba’s Virtual Wall device, but the strips to do its job perfectly well. Another great thing about this Shark robovac is that it is incredibly quiet. The iRobots are not, of course, as loud as the regular hoovers, but this little Shark works like it is not even there. The only thing you can detect it from is the sound of bumping into the objects, but that is fine. Plus, the Shark’s dust container is twice as big as Roomba’s which means it can be emptied less frequently. This Shark RV 750 has all the advantages of the Shark Ion 720 and even more – this little cleaner is Wi-Fi-compatible and can be operated through an app. This also means that you can schedule it in no time and receive a notification informing you about how the session is going, whether it is complete or if the hoover is stuck (which is unlikely). The moving pattern this robovac uses is pretty much similar to the one belonging to Roomba – it is random, but still looks a bit less chaotic. Sharky has 11 sensors that help it adapt and navigate around the room. 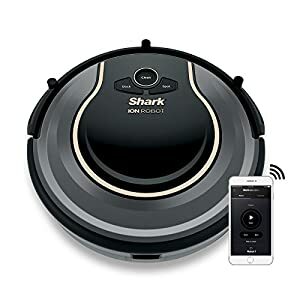 The full Sharky set also includes the 9-feet boundary tape with two connectors to create the angles in the place you want your robovac to stay away from. The tape does the same job as the Virtual Walls of Roomba, but, in my opinion, the iRobot devices are much more efficient than those of Shark. Also, this robovac is extremely quiet and probably won’t wake anyone up even if turned on at night. The hoover works on a Li-Ion battery, features a self-cleaning bottom brush and 2 rotating side brushes for advanced work around the corners and the legs of furniture. 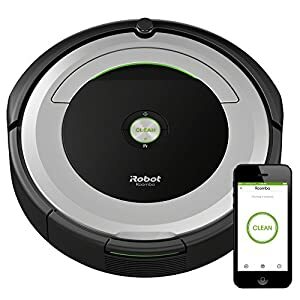 Now you see that there is a whole world of robovacs that are here to help you and turn your house-care routine into a pleasant, effortless activity. Simply hit that button and let the robot do all the hard, dull work while you can relax or focus on more important activities. With Roomba, not only your manicure will last longer, but you will be also able to have more time for yourself, your family and friends. And in our day and age, time is the second most valuable thing in the world! Roomba 665, in this regard, is a perfect choice for those who value their time. 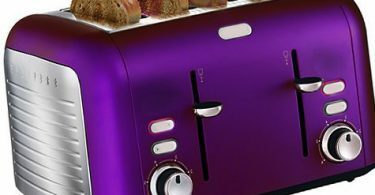 Its sleek, futuristic design and handy features are here for you. Of course, it may not be compatible with Wi-Fi and have a cute app to operate and program, like the newer models, but it works and handles the dirt just as good – and that is a sufficient warranty to get yourself one. The 600 series has been specifically developed to eliminate pets’ hair, and so if you are a happy pet owner – there is no reason for you not to consider buying this divine robovac. Instead of crawling around your house with a mop and then spending hours dragging the heavy hoover behind you trying to pick up all the hairs and failing, just push CLEAN and voila! Now you can spend the rest of the day on a sofa or in the garden – or wherever you really want! Thanks to the smart technology, Roomba can easily find its way around your home and adapt to the different environments. Equipped with adjustable wheels, this little guy rolls around effortlessly making no difference between a thick carpet or a smooth tile. You can even use it on your beds and other upholsteries since the robot has sensors that prevent it from going to the hazardous stairs – the same works if it finds itself on a high surface. If you are not sure or want it out of some premises or areas – use the barriers and leave your worries behind. A user manual in case you would want to know more about this divine invention. There is also a SPOT mode that you can use in case you are not absolutely happy with Roomba’s work. Press the button above the CLEAN and let your robovac take care of the area that is about 3 ft in diameter. The results are going to stun you! Unfortunately, Roomba 665 cannot be controlled remotely, but you can still schedule it for cleaning when you are not at home. 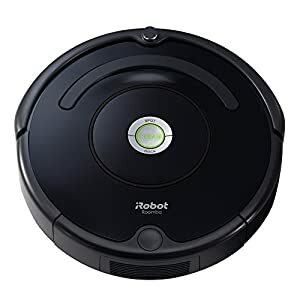 You can even set it for the night time – Roomba is not that loud, so if you are not a light sleeper, chances are you will not even notice it going around its business. Be careful not to step on it though, when the lights are out! Although the CLEAN\POWER button is illuminated when it is in operation, the rest of the hoover is not. Same applies to the situations when the vac is on the Base – make sure you want to hit it with your foot or anything like that. Also, please make sure there is nothing spilled on the floor – unless you want a violent death for your beautiful home carer. Although some robots of this kind can do both, remember that your Roomba is just a robovac, not a mopping robot. Last but not least, the main thing about Roomba is that after a while, it will feel like a rightful member of your family: it is nice, it can do useful work and it moves on its own! It really is a delight to have such a device at home, trust me! Hope you’ve enjoyed the article and found it useful. Let me know what you think about these remarkable house helpers! Feel free to leave your comments in the box below.